… when there is no wind. Once again it is a weekly club fly day and, again, there is no wind. It is a shame because weather-wise it was a beautiful day. Sunny and warm. So one drives to the flying field in the hope that a wind, any wind, will blow. And we stand there looking at the empty beach. Wanting to put some color in the sky but unable to do so. There is no wind. 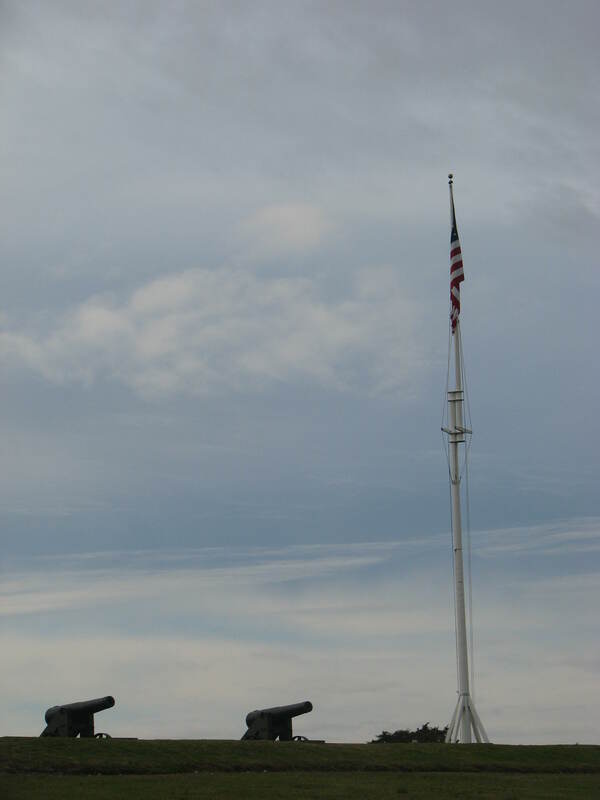 Then there is the repeated glances at the flag on the flagpole. Surely it will move soon. Even just a little bit. But, no, there is no wind. 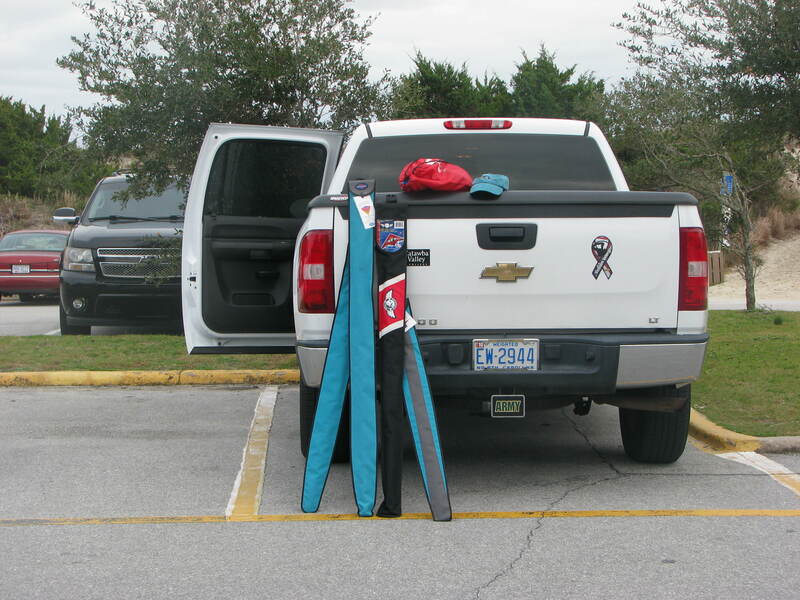 Back in the parking lot, the kites are in their bags. Standing forlornly at the back of the truck. There is no chance they will go much further than that. There is no wind. So what does the kite flier ultimately do? 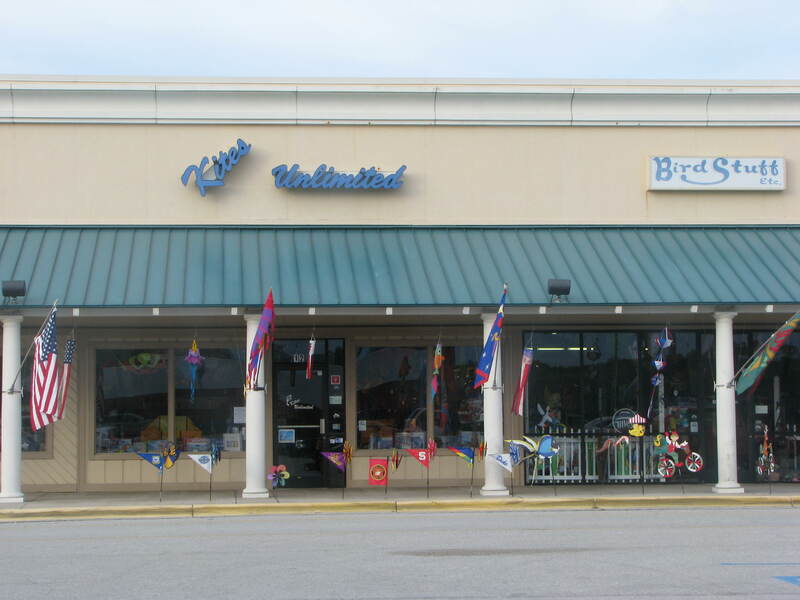 Well, we head to the local kite shop, Kites Unlimited. 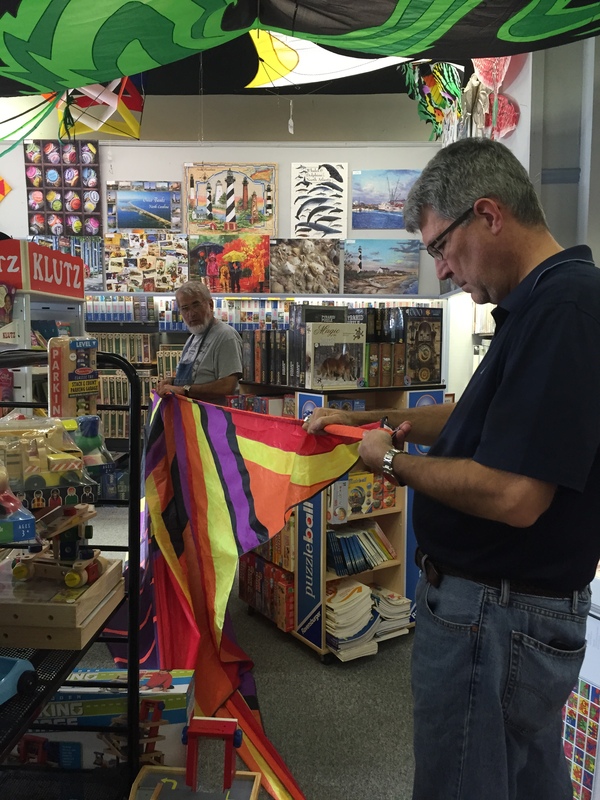 Once there, we visit, commensurate about the lack of wind, browse the store to see if there is anything new and catch up on some of the kite gossip. And make those repairs that we’ve been putting off for far too long. This is just another no wind day. Yep, feel your pain. Even worse when folks come from all over the state, get a nice taste and in two hours the wind just dies..